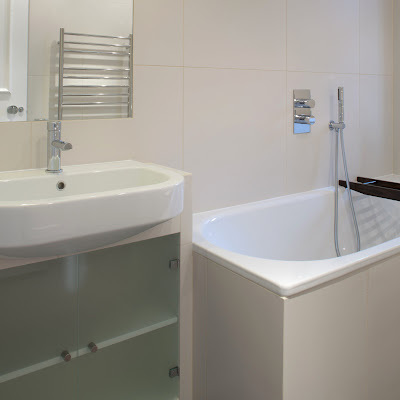 Residential lettings need regular attention and a complete refurbishment approximately every ten years. These shots refer to work recently completed in a flat in Chelsea: 3 new bathrooms, one kitchen and much decorating and joinery work later and... the rental income is back in line with the market. 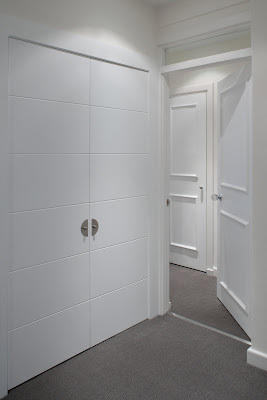 Quality of workmanship and fittings were never skimped on but a few simplifications helped to contain the overall budget and always please tenants, estate agents and landlords alike. Regardless of trends I have never regretted keeping things too simple! STRIKING THE RIGHT BALANCE WITH FURNITURE: fitted, antique, modern or re-styled? 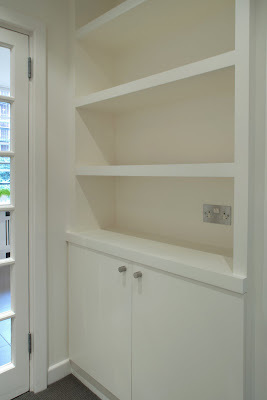 The eternal hunt for storage space makes fitted storage a must in our homes. Good quality storage units designed to fit specific spaces can greatly increase our ability to win the battle against clutter. 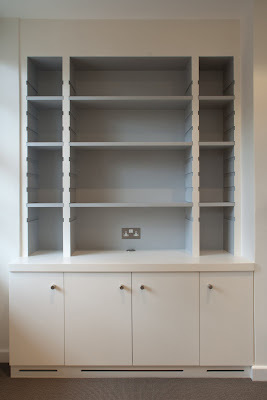 Too much fitted furniture however and we run the risk of achieving the "hotel look" without intending to. Adding beautiful one-offs, be it an inherited antique piece or an ultra modern indulgence, adds balance to personalizes your furniture layout. However, the fact of the matter is that most have acquired along the way a few mediocre items. For sentimental, financial or environmental reason we may not wish to dispose of all of them. A table may have been our first ever furniture acquisition, a mirror may have been a wedding gift and so on and so forth. 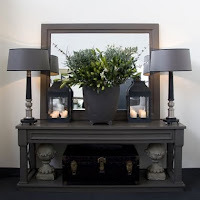 There are a number of ways of "dealing with unwanted furniture". One can find environmentally and socially acceptable ways of parting company with less than loved furniture quite easily these days. Or should I say with less trouble than one would have encountered 5 years ago? Then there is the "furniture make-over". When holding on to something in its current state is no longer an option but neither is binning it, that's when a gifted specialist finisher will come up with solutions you might have never dreamed of. Clearly painting furniture is only viable if the piece has no intrinsic value. In some cases however pieces will be transformed to the extent where they become firm favourites thanks to their new look and their (now) interesting history. It looks like specialist paint finishers are set to regain their rightful place in the world of interior design; thanks to humbler pieces of furniture it would seem they are headed back to where they were in the 80s, the decade of the stipple finish, of obsessive marbleing! With "fussier" furniture it usually pays off to keep things simple. Blocks of colour work extremely well . 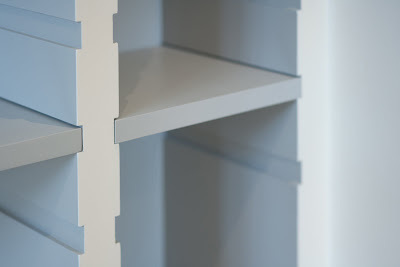 A couple of pieces combined, in the same colour, often result in a bolder and more pleasing statement than each piece would have made if displayed on its own. 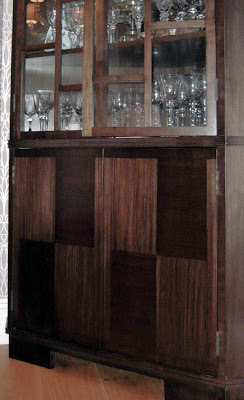 The client asked for functional, contemporary furniture inspired by traditional late 19th century designs. My aim was to avoid blatant reproduction while following the brief. Michael Moore's skill, imagination and love for cabinet making, applied to a couple of rough sketches I provided him with, produced two beautiful pieces. 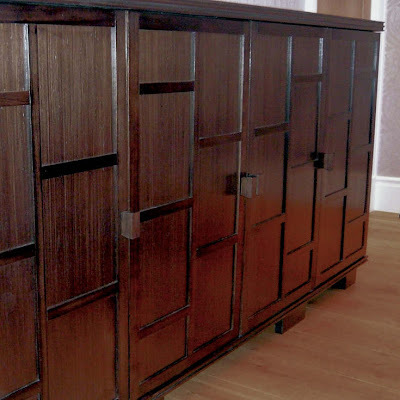 Inspired by simple principles borrowed from the Arts & Crafts movement and its late followers into the first years of the 20th century, this sideboard and tall corner unit totally satisfied the initial brief. 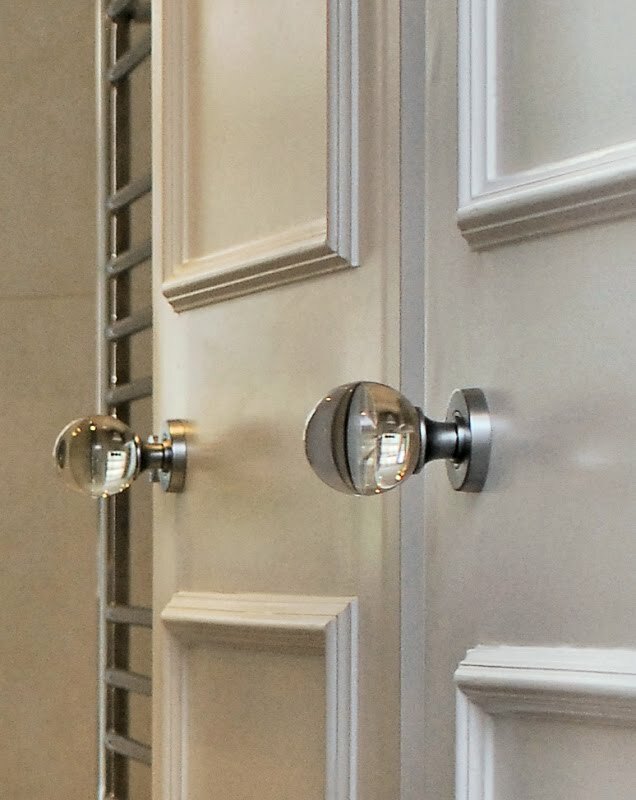 Straight grain walnut panels laid at opposite angles produce square detailing mirrored by mouldings, feet and knobs. A dark stain suits the design. 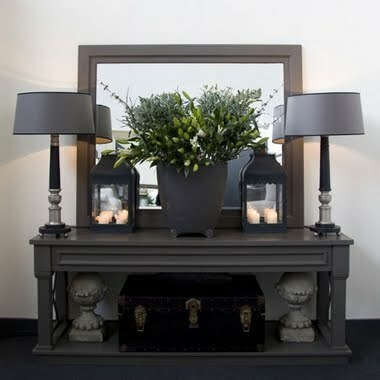 Contemporary pieces in a traditionally inspired interior design scheme. 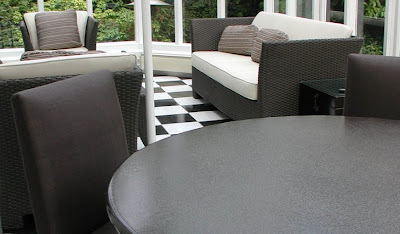 I had forgotten all about this table I had made for a client's conservatory. 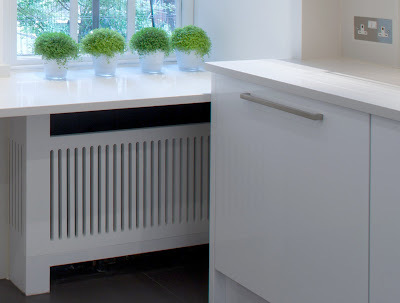 The metal base supports a lava stone worktop in the most gorgeous gun metal finish. Most colours can be matched. 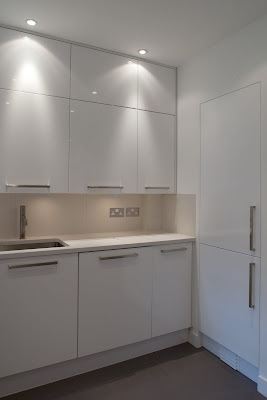 All products are made to order, regardless of whether they are kitchen worktops, table tops, basins, sinks, etc. A great alternative to stone and marble. The templating method is similar as are costs but all colour constraints are lifted. Design freedom! Having moved from Rome to London a few years earlier I gathered my first notions of interior design in 1989 thanks to the patience of Philip Hearsey, architect and designer. The lettings manager of one of the largest central London estate agents soon afterwards instructed me to carry out simple refurbishments on managed properties. The work needed at the end of each tenancy became the best apprenticeship I could have hoped for providing me in the early 90s with the necessary experience in basic interior design and project management. 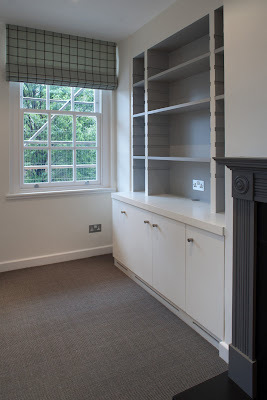 In the following years I specialised in residential property refurbishment covering all aspects of small to medium residential projects. 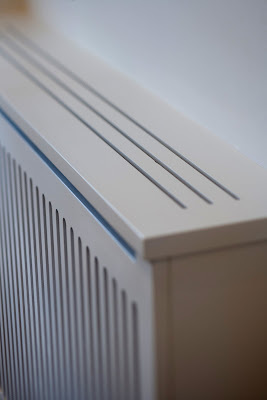 Being passionate about interiors I could not resist tackling most aspects of the work: from the initial planning stages including lighting, plumbing and heating layouts to the final touches such as furniture and soft furnishings design. 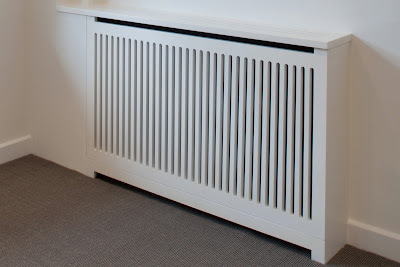 The experience gained over the last 20 years has lead me to tighten my focus and I now rely on a team of craftsmen and specialists with whom I co-operate on most projects.